Fill in the form below to receive updates on the latest Shockwaves information. 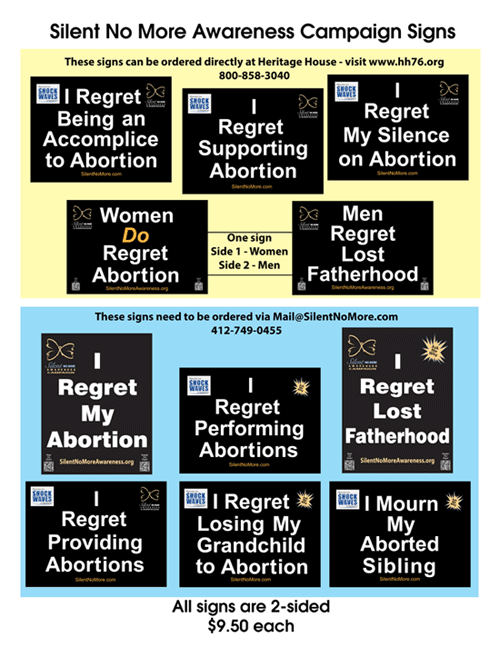 If you’d like to join us in being silent no more and receive our monthly e-letter click here to fill out the Silent No More Campaign Registration Form. Silent No More has changed my life because it has given me the courage to speak up about my abortion story. I kept my abortion story a secret for 15 years. 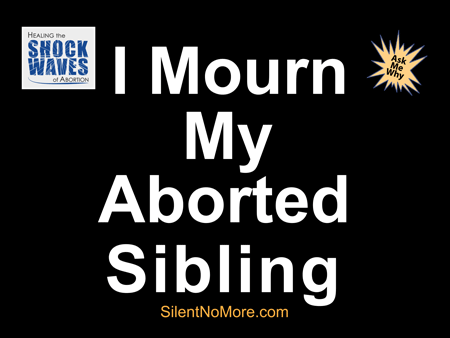 Sibling survivors struggle to understand their value as a human being in light of their siblings' lives discarded through abortion.